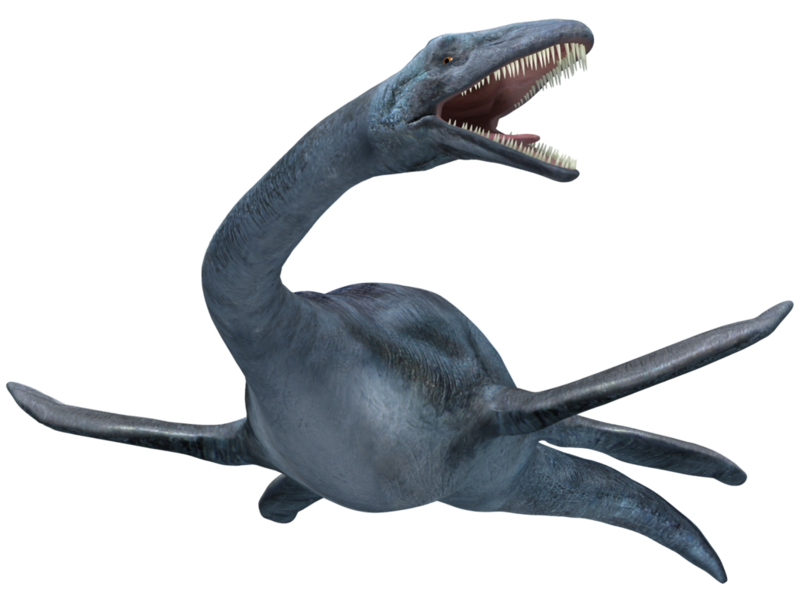 Most Elasmosaurus pictures have this animal with its head sticking out of the waves, which paleontologists now know is an impossibility for this animal to have done that. 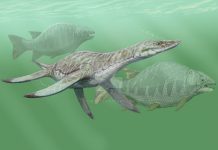 The only way it could have done something like that was if it was in a shallow lake, otherwise, it would’ve been impossible for it to lift anything other than its small head above the waves. 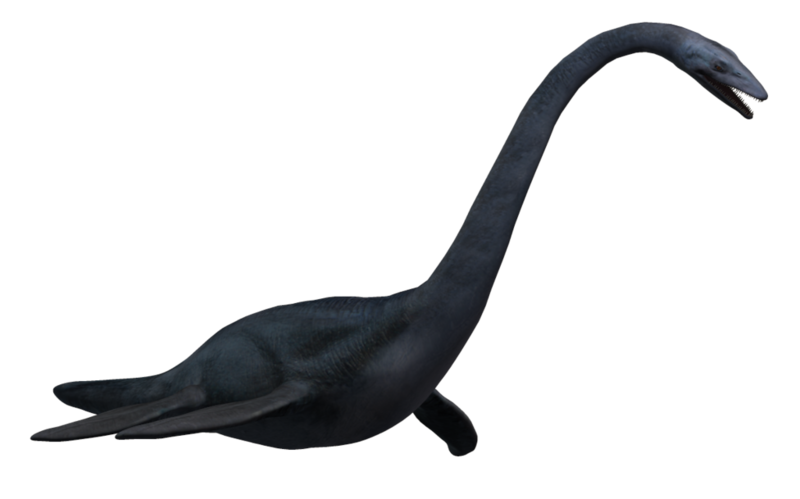 Another one of the most interesting facts about Elasmosaurus was that it was also incapable of moving its head like a snake. 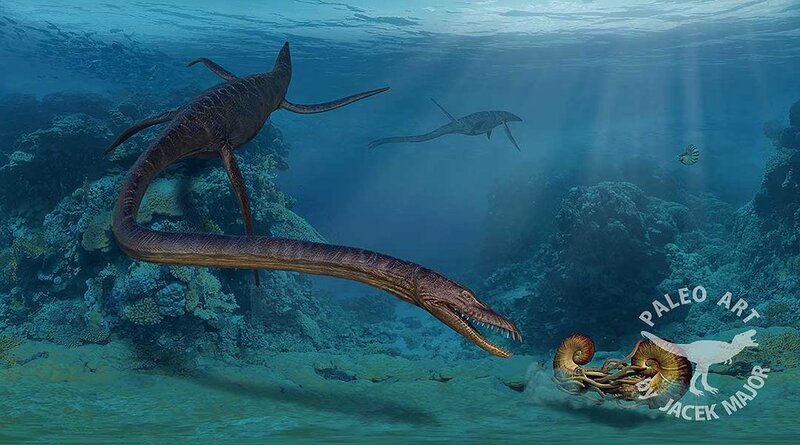 While early paleontologists may have thought it could move its neck like a snake, modern paleontologists now know that is an impossibility. 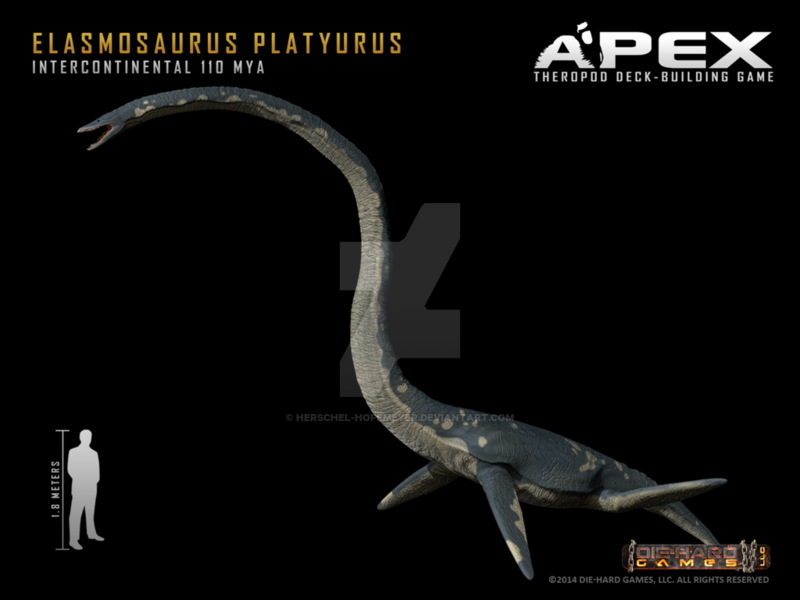 Elasmosaurus was only able to hold its neck out straight, anything else wouldn’t have been possible. 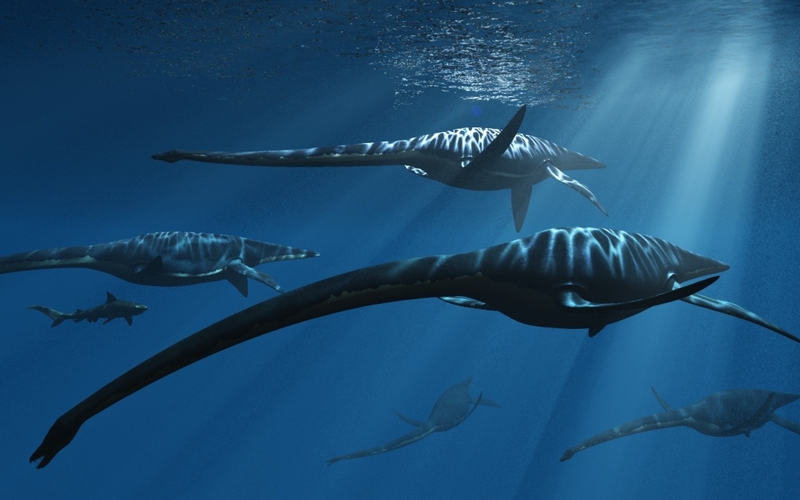 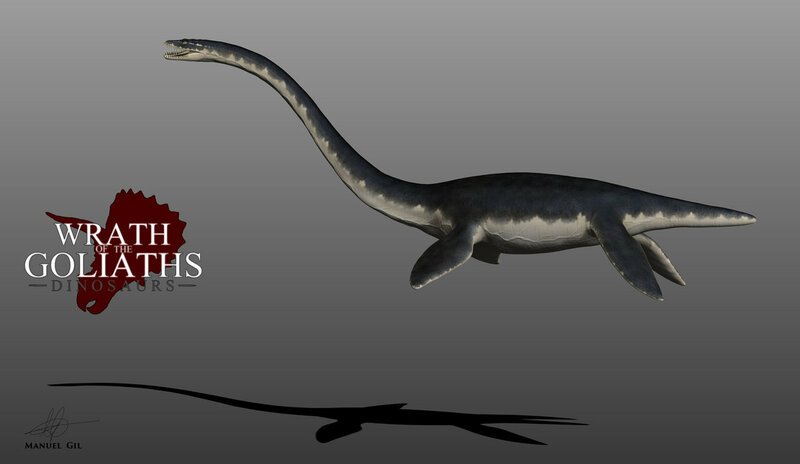 Elasmosaurus was approximately 50 feet long and weighed around 3 tons. 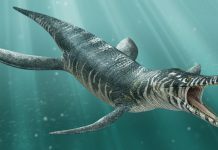 That means that it was longer than a North Atlantic right whale (which is about 46 feet long) and weighed as much as 2 Beluga whales. 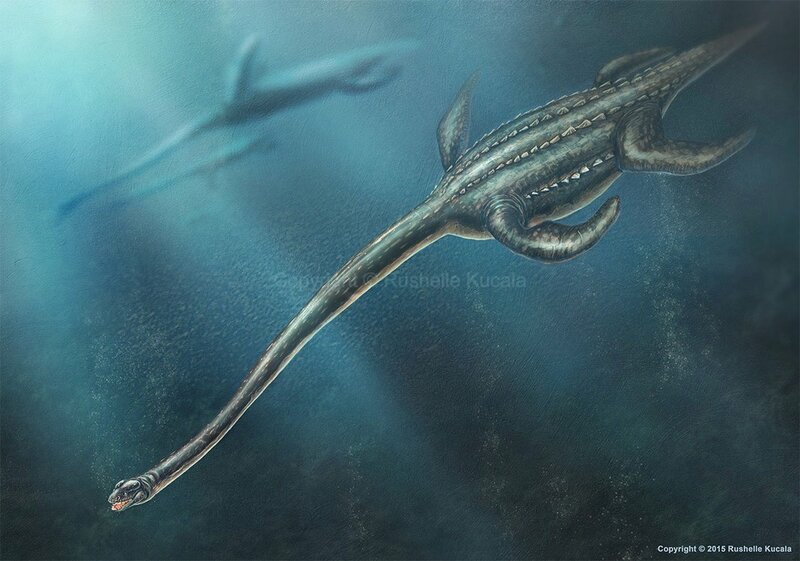 That made it one of the biggest plesiosaurs. 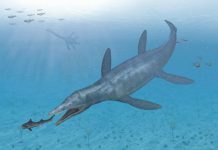 Even so, it still wouldn’t have been as big as some of the other species which existed at the time like Mosasaurs or Pliosaurus. 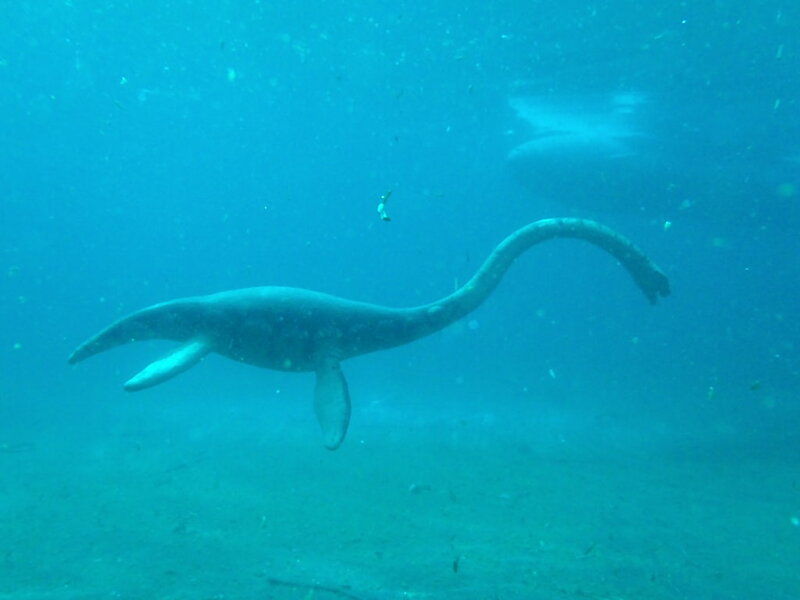 Today, paleontologists aren’t really sure why Elasmosaurus went extinct. 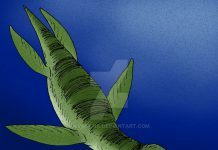 All that is known is that it went extinct about the same time as the dinosaurs – around the time of the K/T extinction event. 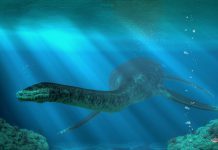 However, there are some people who believe the mythical creature,The Lockness Monster, is actually an Elasmosaurus that has remained hidden for all of these years. 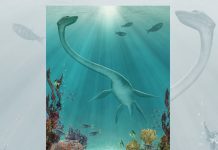 Of course, there are about a dozen reasons why that wouldn’t be the case, but one of the main ones is that Elasmosaurus went extinct 65 million years ago and Lock Ness is only about 10,000 years old.